We have mistaken the nature of poverty, and thought it was economic poverty. 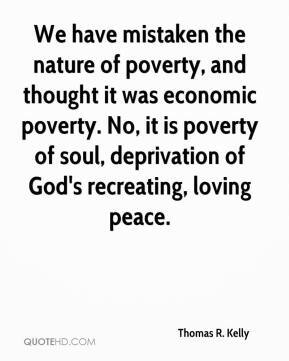 No, it is poverty of soul, deprivation of God's recreating, loving peace. 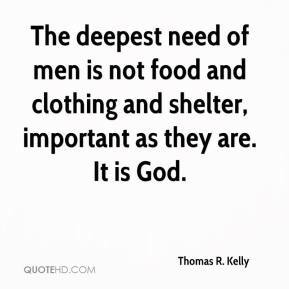 The deepest need of men is not food and clothing and shelter, important as they are. It is God.